Anna: I am delighted to initiate a new feature at East Bay Ethnic Eats: inviting guest bloggers to share their perspectives and food wisdom. It is an honor to welcome our first guest blogger, Jeannette Ferrary, a food enthusiast with a long career in food writing. Jeannette has written a monthly column for the New York Times and Travel-Holiday, reviewed restaurants and books for the San Francisco Chronicle, and written articles for numerous food magazines. She is the author of M.F.K. Fisher and Me, Out of the Kitchen and co-author of six cookbooks. She also teaches food writing at Stanford University and U.C. Berkeley extension, where I attended one of her inspiring classes several years ago. Here she describes her fascination with the little known, savory socca, a versatile (gluten-free) chickpea flatbread that I first fell for topped with eggplant and tomato at the sadly shorted-lived Socca Oven in the original incarnation of Berkeley’s Epicurious Garden. 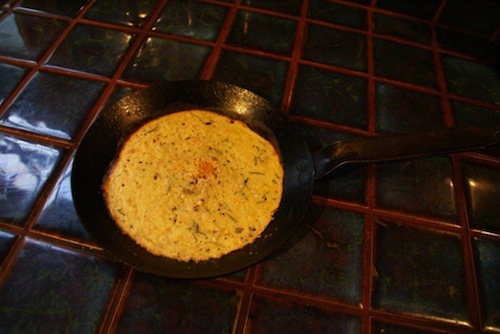 Several years ago I clipped out a recipe for socca, possibly from Pierre Franey’s New York Times column—I did say several years ago. It was described as a chickpea flour crepe, which gave it a certain panache since, at the time, merely saying the word crepe meant you were certifiably sophisticated, especially if you pronounced it “krep” and not “crayp.” But not having chickpea flour, nor access to same, I didn’t make the recipe, nor did I throw it away. I knew it was there, deep in my things-to-cook-someday folder, its exoticism both deterrent and attraction. If I wanted to make socca, serious investigative shopping was required. It receded toward the back of my culinary obsessions. I wasn’t even thinking of socca when along came Mark “deus ex machina” Bittman armed with his knack of making the intriguing seem simple and vice versa. In his now-defunct Wednesday column he wrote about how, when in Spain, he seeks out a luscious little tapa called tortillita, a mini pancake made with chopped shrimp and chickpea flour. Thanks to some recent serendipity, I had discovered a grocery store which carries all things Indian and I hoped that among their many packages of intriguing ingredients, I might locate the elusive chickpea flour. Which I did not. What I did find was a paper sack labeled with French words like “farine” and “pois” and “chique” that seemed promising, although the largest word on the bag was the mysterious Besan. A bit of googling yielded an encouraging translation convincing me that Besan was worth a try. I whipped up Bittman’s tortillitas, visions of Andalucia dancing in my head. They were okay but they were never going to motivate the devotion required to use up a sackful of Besan. Coincidentally, as often happens in these things, a few weeks later Bon Appetit published a recipe for chickpea pizza. As I looked through the directions, something struck a chord. Could this be the socca of yesteryear? I mixed up a batch and, as the first bite melted on my tongue—warm and sultry, with lacy edges and delicate nuttiness—I knew that I would soon need to replenish my Besan supplies. On the other hand, I was annoyed that Bon Appetit had called it “pizza” instead of socca. 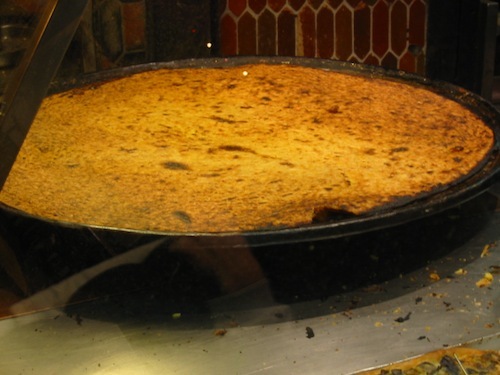 So many cultures have a form of chickpea “pancakes”– from Genoa’s farinata and Algeria’s karantita to the cecina of Tuscany and the national dish of Gibraltar called calentita—that it might be considered a nearly universal food. Bon Appetit probably reasoned that everyone loves pizza, so why not use a term that will attract interest and make the dish more user-friendly. But what was lost was the history, the grounding, the connotations of an ancient tradition. 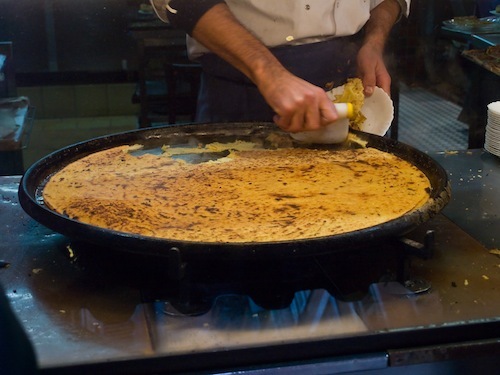 Socca is the specialty of Nice where it is made in flat, cast iron pans a yard across; it emerges like a huge sun-gold crepe with sizzling crispy bits that tingle on your tongue. It’s a street food, made on the spot, instant gratification for tourists and native soccaphiles alike. It tastes of its origins, the passion of its native land, its stories and legends. There’s something primitive and earthy about socca as it takes on the color of fire and leaves the cave of its wood-burning oven. In Nice, they cut it into rough wedges and hand it to you wrapped in a paper cone. You eat it with your fingers and your grateful mouth and your whole heart. I’m still learning about socca, and as I do it confirms what I’ve always felt about food and its heritage: the more you know the better it tastes. 1 tsp cumin or chopped rosemary…or both! In medium size bowl, mix together first four ingredients. Slowly whisk in ½ cup water, whisking until smooth. Whisk in remaining 1 ½ cups water and allow to rest for ½ to 1 hour or until you’re ready. Heat broiler. Place pan in oven for about three minutes. When hot, add one tablespoon olive oil and swirl around to cover pan evenly. 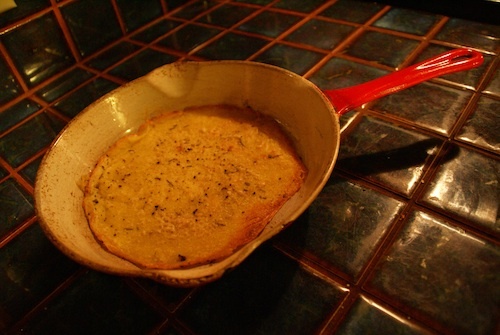 Ladle in enough batter to cover thinly, sprinkle with 2 tablespoons olive oil and set pan under broiler. Broil until set, 5 – 8 minutes. Slide onto a plate and keep warm. Repeat with remaining batter. 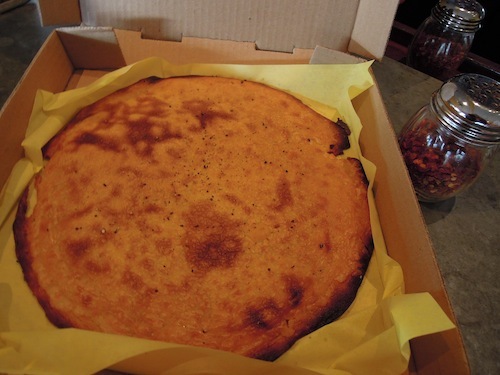 Anna: If you have an immediate urge to run out and taste socca at an East Bay eatery, don’t despair. We have two neighborhood spots to fulfill your desires: Nizza La Bella, a cozy Albany bistro that celebrates the cuisine of Nice, and defines their socca as “organic wood fired chickpea hearth bread” (served plain or topped with salad and chevre) They also roast a luscious chicken and cook a terrific French onion soup (vegetarian). 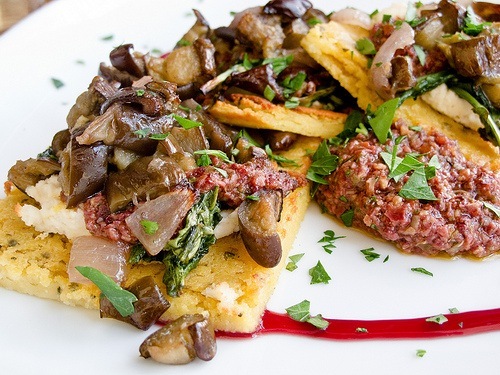 Another option is Oakland’s popular Encuento, whose socca of the day is topped by seasonal veggies like mushroom, kale and eggplant. 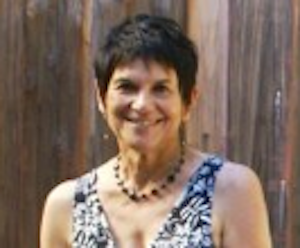 Jeannette Ferrary is teaching “First Course” for UC Berkeley Extension on Saturday, June 4, a full-day, intensive writing course covering many aspects of food writing: restaurant reviewing, food book proposals and development, writing for publication, literary agents, etc. UC Berkeley Extension, 10 am to 4pm, downtown San Francisco Berkeley Extension. At Stanford beginning June 21, she teaches Food Writing: from Soup to Nuts, a five-week course Tuesday evenings which expands on all of the above and includes personal feedback on writing assignments and optional Stanford credit. 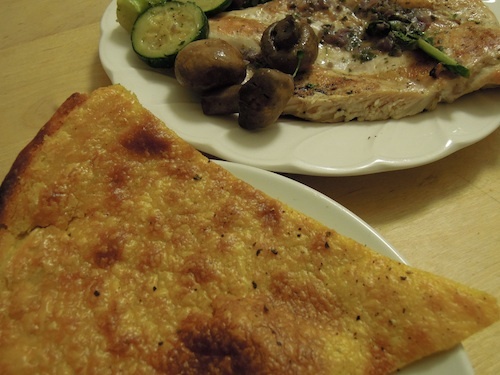 This entry was posted in Algeria, France, Gibraltar, gluten-free food, Italy, Spain and tagged calentita, chickpea crepe, Encuento, farinata, food of Nice, Jeannette Ferrary, karantita, Mark Bittman, Nizza La Bella, Pierre Franey, socca, socca recipe, tortillita. Bookmark the permalink. A fantastic article on La socca!! Some great ideas for those of us who are gluten-free and would like to incorporate chickpea flour into their diet!! I cannot wait to try this recipe out!